Beat the heat and look cute doing it. 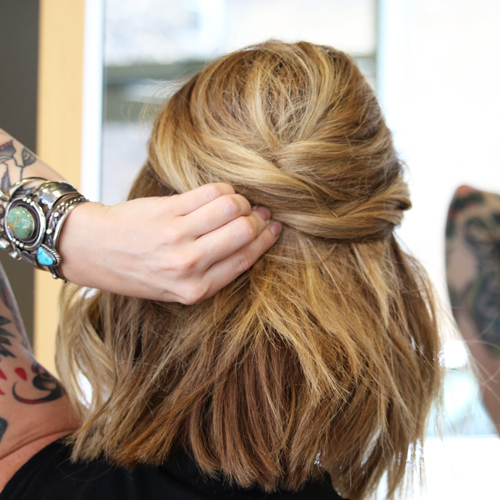 Think you can’t have a fresh summer look with short hair? Well, you’d be wrong. 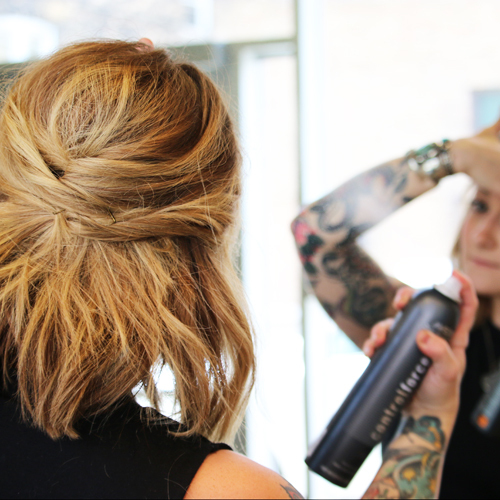 Neroli Hair Designer, Maggie, has put together a twisted and rustic half-up style to keep you cool, calm, & collected whether you’re pool-side or patio dining. 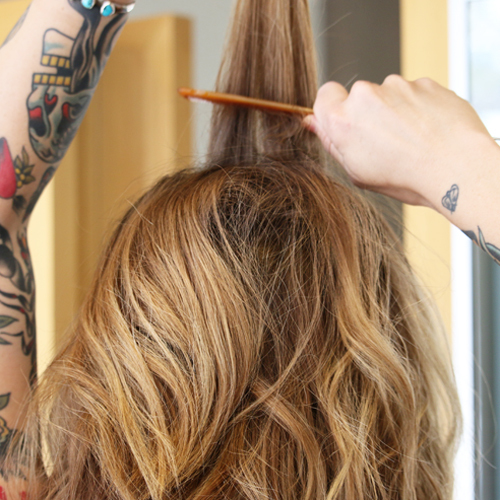 Step 1: Start by prepping second day hair with Aveda Shampure Dry Shampoo. 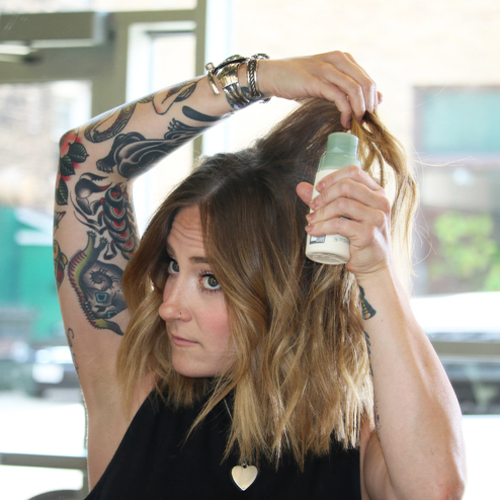 Refresh texture with a flat iron or curling iron– spray with Aveda Control Force Hairspray for extra hold. Step 2: Take a small section of hair at the crown and back comb slightly to give lift. Repeat on both sides of part. Step 3: Begin pinning in the middle back by taking the section of hair from crown that was just teased. 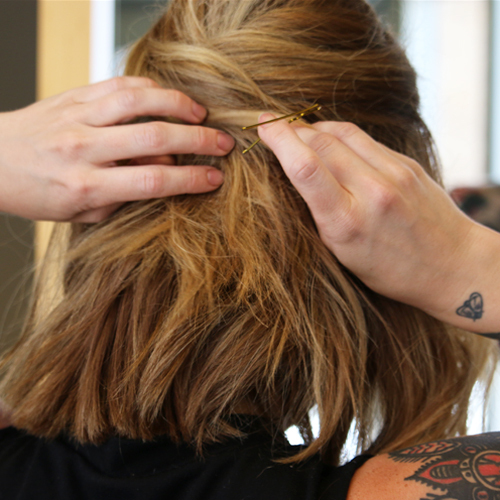 Hold and secure with a bobby pin half way down the head. Step 4: Start gathering and pinning small pieces of hair from each side of the head, one side at a time. 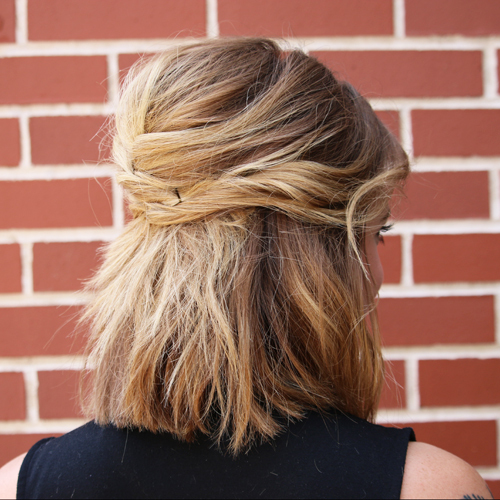 Overlap each piece over the back middle to create a “braided” effect until you run out of hair. 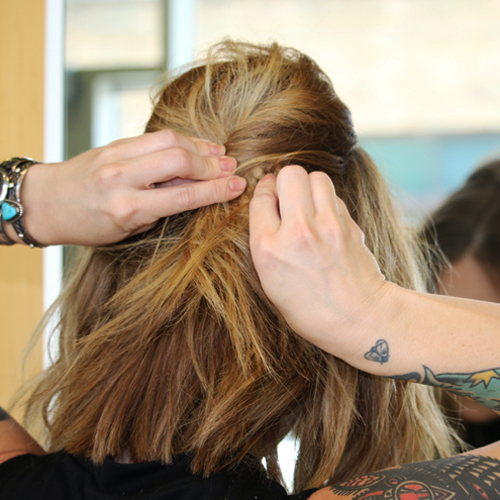 Step 4: To finish, pull and loosen hair slightly to create a relaxed and effortless look. 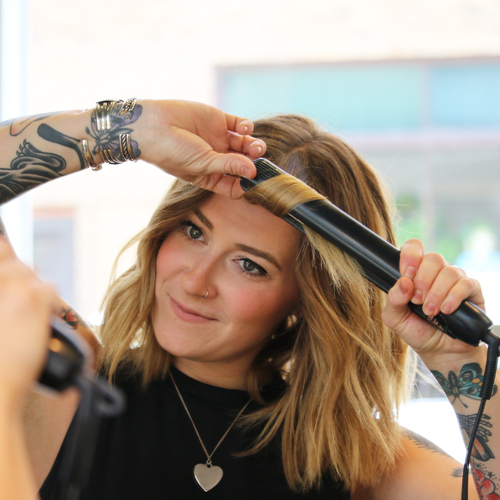 Touch up any hair with the flat iron or curling iron in the front that needs a little boost. Finish with one more spray of Aveda Control Force Hairspray. 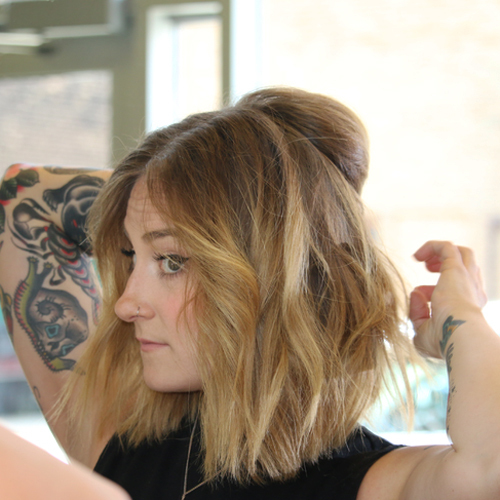 This blog was written by Neroli East Side Hair Designer, Maggie To schedule a hair service with Maggie, call 414.227.2888.